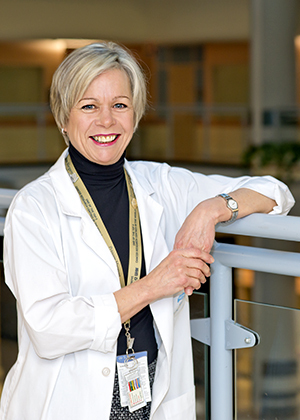 With over 38 years of experience, Pat currently works in the Princess Margaret Cancer Centre in the Palliative Care Outpatient Clinic. In the past, she has worked as a Clinical Trials Nurse, in the Department of Medical Oncology, Drug Development, and is well experienced in ambulatory clinics, in gastroenterology, gynecology and hematology. Pursuing continuing education in oncology and palliative care provides an enhanced understanding of the cancer care continuum and a de Souza Nurse Designation validates her hard work. After gaining the opportunity to observe various settings outside of her clinic setting, she further appreciates the benefits of professional development as well as supporting colleagues in their own continuing education.